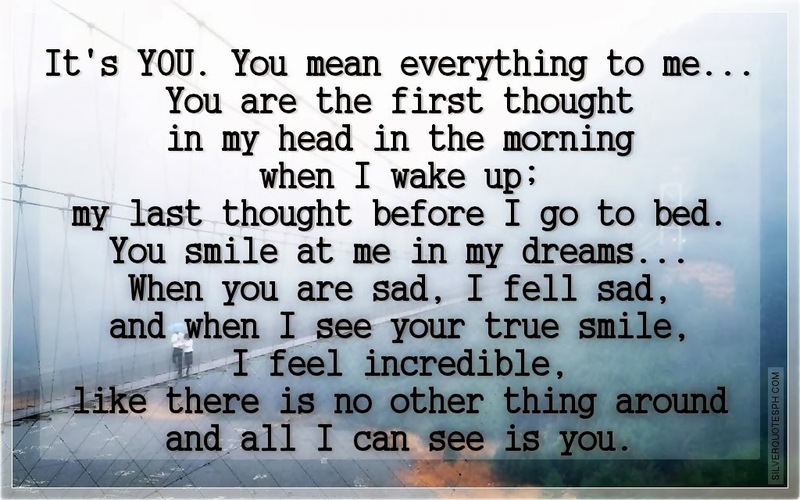 It's YOU. You mean everything to me... you are the first thought in my head in the morning when I wake up; my last thought before I go to bed. You smile at me in my dreams... when you are sad, I fell sad, and when I see your true smile, I feel incredible, like there is no other thing around and all I can see is you.